RTÉ HAS CONFIRMED that it will broadcast footage from this year’s Electric Picnic on RTÉ 2. Four hours of performances and interviews will be shown on the channel on the Saturday night of the festival (30 August), hosted by Eoghan McDermott and Jenny Greene. There’ll also be reports from the arena, and performances from the Other Voices stage. RTÉ broadcasts a series of shows every year recorded at the Other Voices festival in Dingle in December. The national broadcaster says that this will be their most extensive coverage of the festival to date, with 2FM also involved on site. 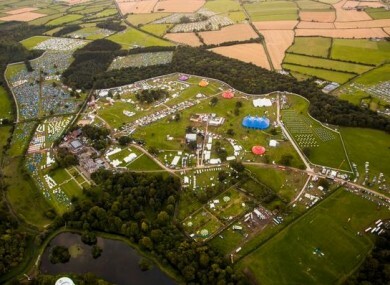 Communicorp’s stations Today FM and TXFM are also expected to broadcast from the arena in Stradbally, Co Laois. Electric Picnic sold out at the end of July after increasing the capacity to 40,000 – the largest crowd it has ever accommodated. Outkast, Beck, Portishead, Chic, Lily Allen, tUnE-yArDs, Hozier and James McVincent McMorrow are all playing Electric Picnic 2014. Email “RTE to broadcast TV coverage of Electric Picnic ”. Feedback on “RTE to broadcast TV coverage of Electric Picnic ”.